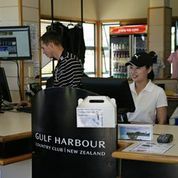 You can expect a warm welcome in the Pro Shop where the professional friendly team here at Gulf Harbour aim to enhance your visit by offering the highest level of customer service. come in and talk to one of the team. The range of golf clothing and equipment features all the leading brands including Titleist, Footjoy, Oakley, Sport Leisure and Greg Norman. 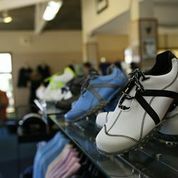 The Pro shop aims to be competitive on prices and offers and we have a team that can offer advice on how to get the most from your game. 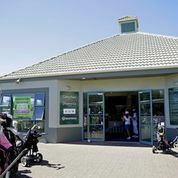 There is also a selection of items perfect for gifts or prizes and all the everyday golfing gear you like such as balls, gloves and tees. If you are organising either a corporate golf day or a golf tournament, then you can take to the green with custom logo balls, towels, hats ball markers and more for your next round. The perfect way to promote your business out on the course.